Want to give a shout-out to the guys who in EU did a circus performance today. 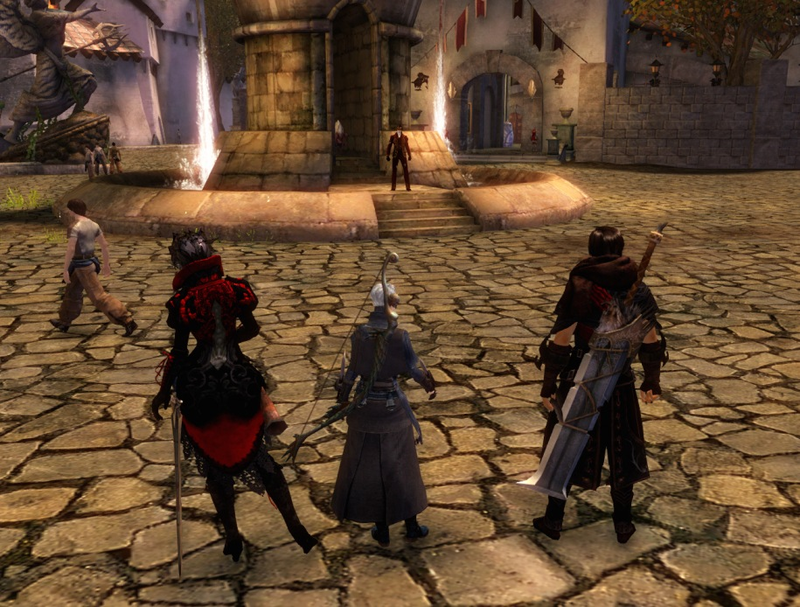 There was Ryuu, Karla and a Puppetteer who performed a few tricks for us outside The Maiden's Whisper. Oh, and Faith I guess, who was an audience volunteer! I was watching the show with Duchess Eowyn and a guy called Bray, so ty to those guys too for the tavern stuff! We'll try to make more shows like this and gather more people to make them. I'm glad people enjoy them! Thank you to Tragedy Anne and all who let my necromancer Jhaeron perform a Rite of Remembrance for the orphans during the Children's Day event. I just wanna throw a quick shout out to all those NA folks that have played in my events since launch. Without any of you lot, most of them would have never left chapter 1. I've never really advertised these events here on site (because the sheer number of random showups would seriously drown my core group) but I've had at least a dozen of them where I met some really great people pretty much right out of the ether! I truly appreciate what you've brought to my series of threads. I'm your biggest fan! 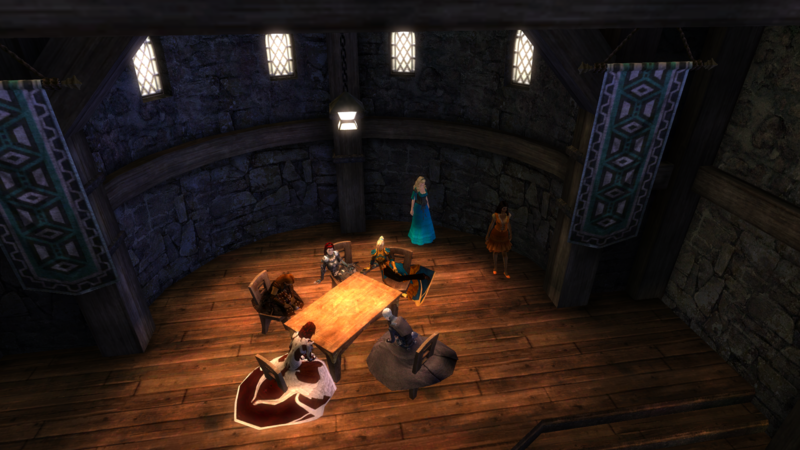 I'd like to thank Amarae Laskaris for an invite to a meeting between our three Merc companies, as well as her two colleagues from GFC, Tara Daemos and Dyani Forrath, and Laura Kelly from The Ironhold Striders. It's great when business leaders can meet on good terms and rise above petty rivalries (ICly I mean! xD). I think I got some Tavern RP with a bunch of people last night, but I was drunk. So if I did, thanks! I was one of them! On my creepy Feloneus dude! AHHH! Flashbacks of being surrounded by many nobles! A shoutout to the guild behind The Busted Flagon ([TBF]) on PS, with most commonly seen members being Hjarin and Kiar The Heartsmith. A shout out to Stormwatch Confederacy! Despite Ripples sudden appearance at the cave bar after being an irregular attendant for roughly a year, she was (sort of?) accepted by their motley crew of merchants. I had a lot of fun guys/gals, thanks for helping contribute to a fantastic night of RP for me! Shout out to Tikri (Ears) and Ketty for supporting me in my renewed endeavor! And last but never least, Shout out to Damien Delacour, whose noble the maddengly man-hating Rips loves to hate!